Should I care about innovation of technology? 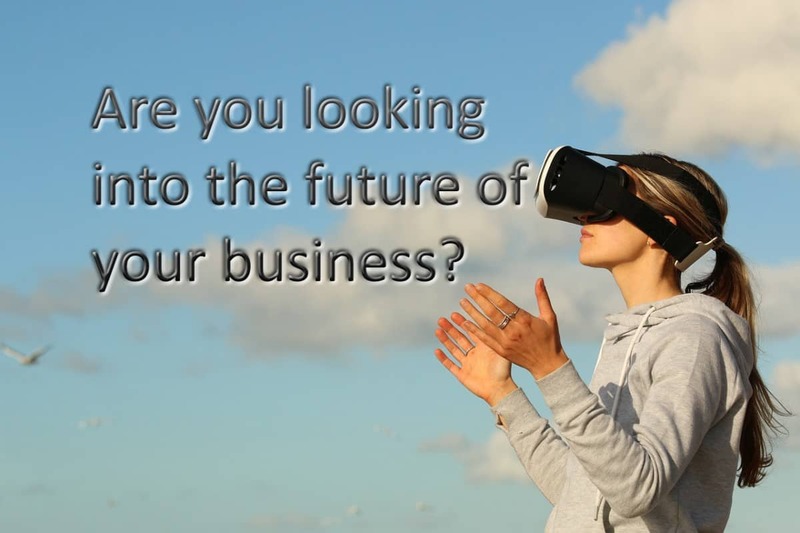 As a business owner, should I care about innovation of technology? A better question is do you want your business to be bigger, better, and faster? For owners that want to scale their business, the answer to both must be yes. Innovation of technology is at the heart of building a sustainable and competitive business. Yet there’s also fear of changing ways of working and fear of using new technology. There might be vulnerability in going back to school and learning something new. Perhaps anxieties that everyone else will excel, and we’ll be left behind. Worries that it will somehow be less efficient, difficult to use, or worse still out of control. Letting go of the tried and tested can be so difficult on so many levels. Looking back, it’s easy to see how technology has changed our lives, often over a short period of time. That understanding makes us more aware of the need to understand how technology is changing our world today. A stark example is of my ancestors who owned a glass bottle factory in London. 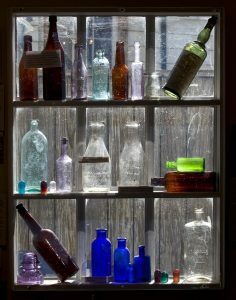 At the end of the nineteenth century new semi-automated processes resulted in hundreds of standard bottles being produced an hour (History of glass). Traditional processes could not compete. Today glass manufacturing is going through another revolution. Customer orders are processed automatically by smart factories. Using the internet of things, smart machines coordinate with suppliers, so customers get accurate delivery times and fast turnaround (Glass Industry 4.0: The 4th Industrial Revolution). Owners may feel torn between innovation and their tried and tested ways. Why change something that works? We all know the answer, yet most struggle to let go. Then there is the question of where to start. Owners may be aware of high-level problem areas and not know the cause. They may hear many well-meaning suggestions on possible improvements, and yet feel uncertain. Naturally this either leads to knee-jerk reactions or delay and procrastination. 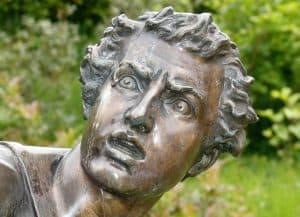 Knee-jerk reactions lack foresight to build a long-term business. Tackling the symptoms instead of the cause. The owner can expend emotional and mental energy for a short-term win, not to mention wasting the valuable resources of the business. Energy and resources that should be used to move the business forward are wasted. The business bounces around, and eventually the lack of focus takes its toll on revenue and profit. Delay and procrastination may appear more stable in the short-term. Lack of action and avoiding the truth will eventually cause the business to fall behind. Competitors will edge forward, and new players may enter the market. Without clear leadership, these forces combined will start to erode the business, reducing revenue and profit. What gives you the edge? At the heart of developing a competitive edge is being different from the other players. What makes you different could be what you stand for, your values, your culture, or your offering. How can you improve on that? How can you push yourself to be even more distinct? One way to look at the challenge is to ask yourself how you would compete against yourself. Do you challenge yourself with new targets? When you’ve set those targets, how will you accomplish your objectives? Being different and creating value for customers is one thing; making sure you can do that and create a return on investment is the other. Once you’ve established what you do best, the next step is to create efficiency. It might sound dry, yet we’d all recognise the value of being responsive, and using our time and energy productively. That’s what it’s about, making sure the business is delivering value with minimum effort. That helps create great customer service and gives you the head room to grow. Innovation of technology can be used to make the operation slicker. There are exciting developments in technology. Take the Ikea Place app that uses augmented reality to check if furniture will fit in your home. Then there’s using virtual reality for training in medicine. We’re becoming more comfortable trusting technology to make recommendations. Insurance companies such as Ping are using artificial intelligence to settle auto claims immediately. We all know Amazon Alexa and the steps toward natural language processing. Let’s not forget the infrastructure that’s changing the world we live in. Cloud and cheap, fast data storage are enabling great advances in innovation of technology. Innovation of technology isn’t just about the latest breakthrough. Advances can also come from using tried and tested technology in a new way. The drive is from the desire to make something better. True innovation starts with asking a simple question, how can I do this bigger, better or faster? As an owner, you may not have the time or inclination to work on the nuts and bolts of the business. 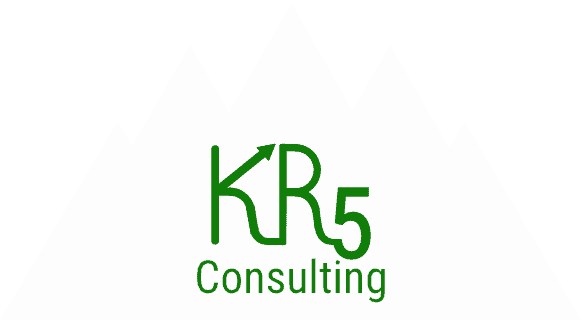 If you want help on the unglamorous yet important part of scaling your systems, then why not contact us on info@kr5consulting.com or call 01344 266567. ⟵Increasing Productivity and Efficiency – secret weapon?